Great fishing-themed t-shirts, apparel and gifts. 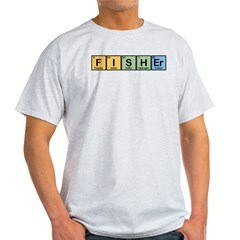 Pick up unique fisher t-shirts, fishing hoodies and other gifts for fishermen and fisherwomen! 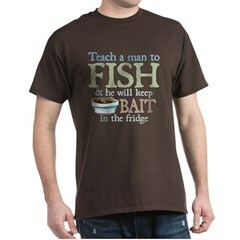 Funny fishing t-shirts and original fisher novelties & gifts. Through Rain or Sleet or Dark of Night - I Fish. 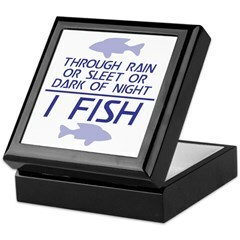 A cute play on the old postal service slogan for die-hard fishing fans. Great gifts for fishermen & women and anyone that loves fishing! 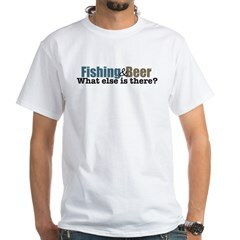 Funny fisher t-shirts and great, original fishing tees & gifts. Proclaim yourself a BaitWatcher with this funny design for fishers. If you love fishing, whether on your own or in a group, this BaitWatcher design is for you! 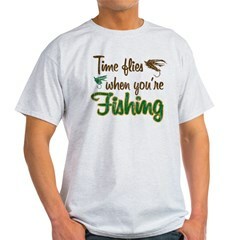 Time flies when your fishing shirts, apparel and more. Time sure does fly when you're fishing, especially if you are catching fish! Fun fishing t-shirts great to wear fishing & catching! I can't. I have to go fishing. I can't. I have to go fishing. This fishing design is sure to attract attention and let everyone know fishing is your priority. Simple fish skeleton design on t-shirts, hoodies, mugs, buttons and stickers! This great text design for fishers reads "Fishing & Beer What else is there?" A funny t-shirt design for the fishing fanatic in your life! 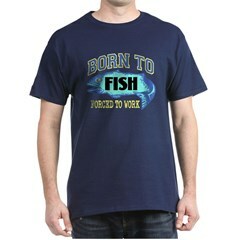 This great graphic t-shirt design reads Born to Fish Forced to Work. This fishing-themed t-shirt is great for anyone who loves to go fishing more than working - that must be everyone, right? !